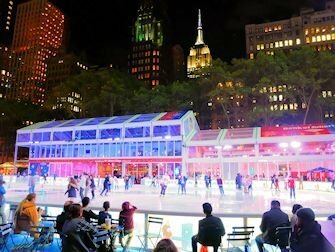 From October, everyone can skate in New York again! 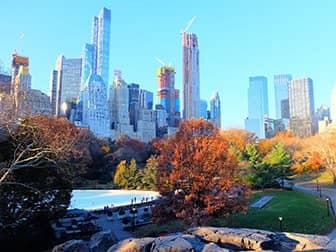 The hot spots for skating in New York are Rockefeller Center and Central Park, but there are more rinks. A true New York winter would not be complete without skating on one of the rinks around the city. Many New Yorkers look forward each year to putting on their skates. Tourists are also able to enjoy skating in the Big Apple. Where should you go ice skating? 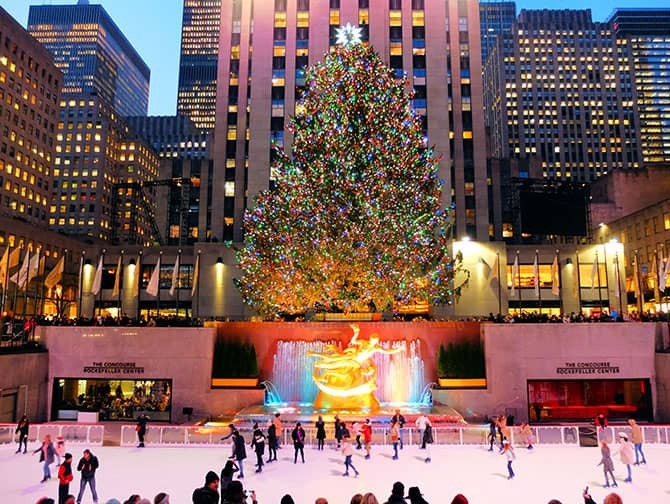 The Rockefeller Center is an amazing ice rink, especially during the festive months of November to January. It’s not the cheapest rink, but it’s certainly allows you to skate in style. To get there, walk to Fifth Avenue between 49th and 50th Streets, through the Channel Gardens and down the stairs. You can’t miss it! The VIP skating arrangement is my favourite! 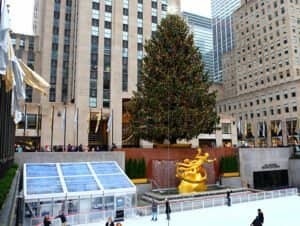 It includes skate rental, a 90-minute evening skate session, hot chocolate and freshly baked cookies and pastries, entrance to the VIP Chalet AND admission to the Top of the Rock. If you prefer skating in the morning, you can book a morning skating session. Arrive at the rink at 8:30 and enjoy the holiday spirit on the ice, while munching on some cookies and hot chocolate in the heated VIP chalet. You can visit Top of the Rock afterwards. 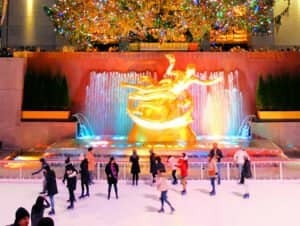 For a unique Christmas experience book tickets for an exclusive evening of skating and dining at Rockefeller Center. Combine spinning around the ice with a fancy rink side dinner at The Sea Grill. Just steps away from Times Square, Bryant Park is located on 42nd Street between Fifth Avenue and 6th Avenue. 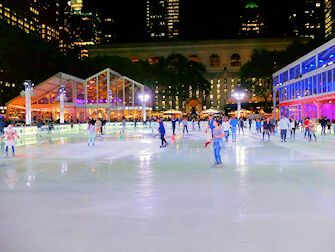 The rink, located right in the park, is even bigger than the Rockefeller skating rink. If you would like more skating space, then this is definitely a good option. This is the hottest rink in town as it is free for everyone! Skating in Central Park is found at the Wollman Rink. This rink is definitely one of the finest in the world. The Wollman Rink is located at 62nd Street, on the Fifth Avenue side (east side) of Central Park. A little further north in Central Park, near 107th Street on the Fifth Avenue side of the park, is the Lasker Rink. This rink is open from late October 2018 until March 2019. Admission is $8.50 for adults and $4.50 for children. Skate rentals are $7.50.